We have a wide range of bikes to try out. Find out which type of two wheeler suits you, or have fun experimenting with our range of exciting cycles. Some people start on trikes before moving on to two wheelers. You are also welcome to bring your own bike to sessions if you prefer. 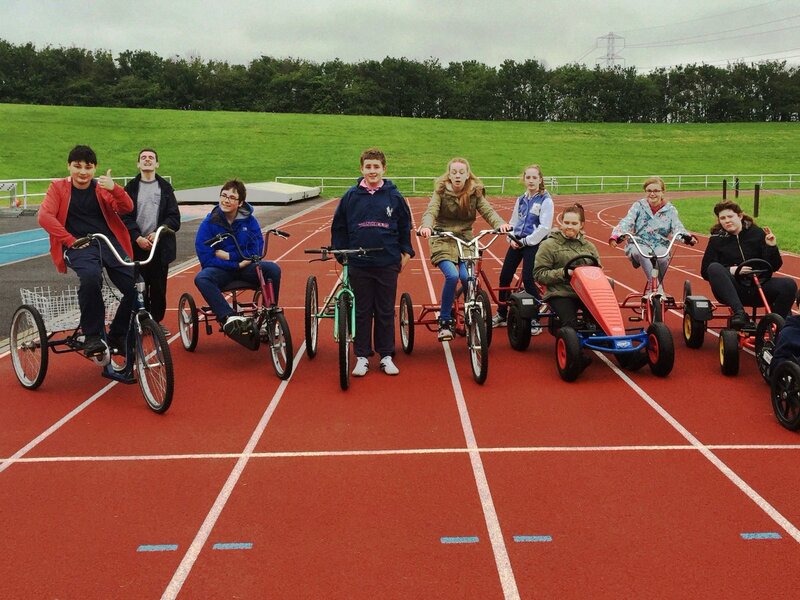 Two wheelers: Apart from all our unusual and adapted bikes, we do have a range of two wheelers for those that just want to cycle, get exercise, learn to ride or brush up on your skills. Whether you want a comfortable, sturdy bike or a racy little number, we have a two wheeler for you to try. 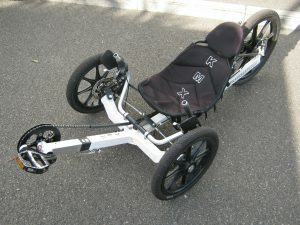 The Duet: This bike is suitable for wheelchair users and those with restricted mobility. 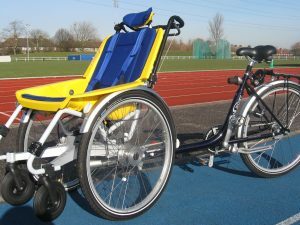 The participant can sit at the front and carers or relatives can cycle at the back. We usually have two of these at our sessions in yellow and green. 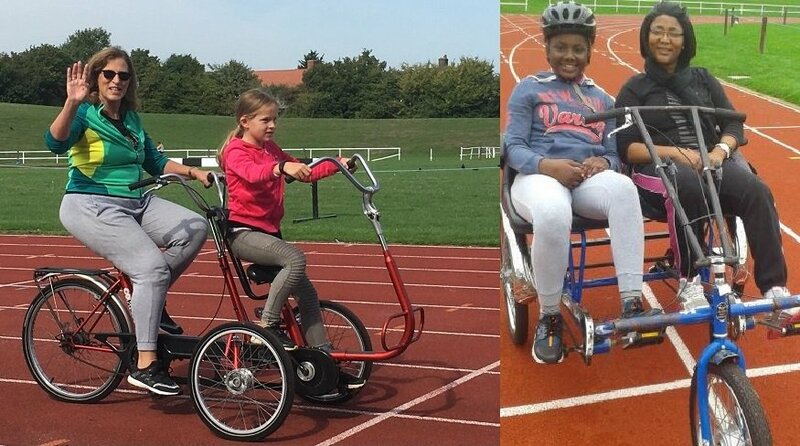 The Velo Plus: This cycle enables participants using a wheelchair who find it difficult to transfer out of their wheelchair to take part. 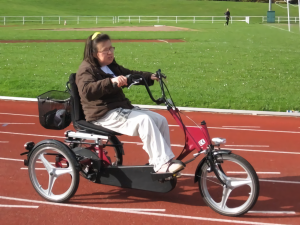 The wheelchair can be rolled on to the cycle’s platform and locked in place. The KMXs: These bikes are low to the ground and are perfect if you want to give your legs a workout or fancy trying a different type of bike. 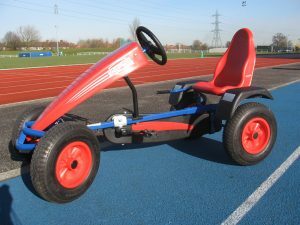 The Go-Karts: These are 4 wheelers so perfect to get you a steady ride around the track. Steering is through the wheel rather than handlebars on a traditional bike. 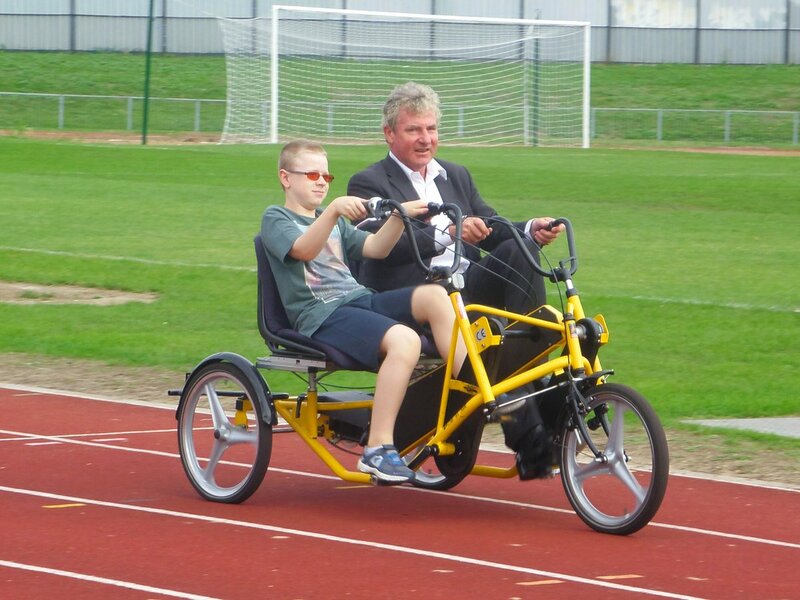 The Co-pilot: This bike enables a cyclist to guide another participant around the track so they can enjoy cycling, without need to steer. 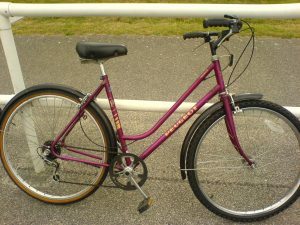 These bikes are ideal for those, including with sight difficulties or less confident about riding alone. 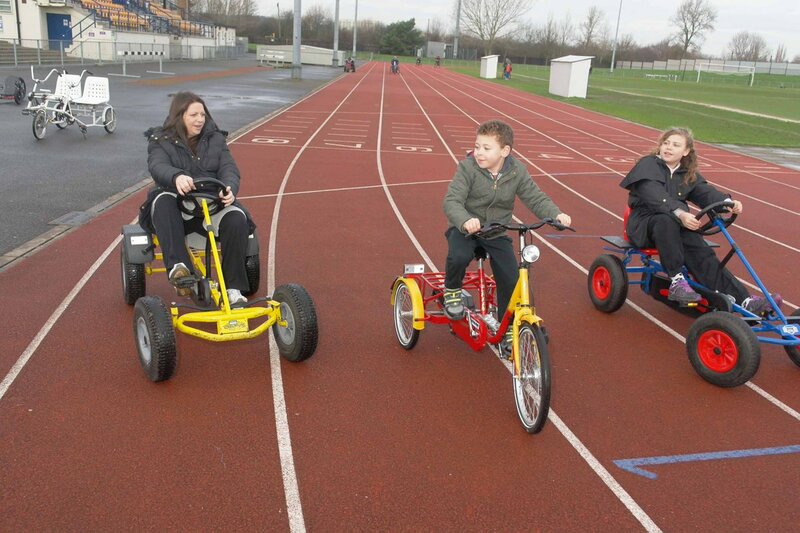 The Side by Side: This cycle enables two participants to cycle around the track together. 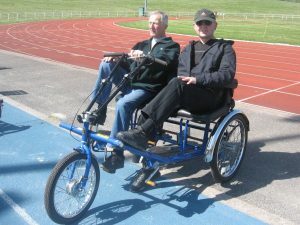 Some side by sides allow one participant to steer and cycle, with the other being a passenger. 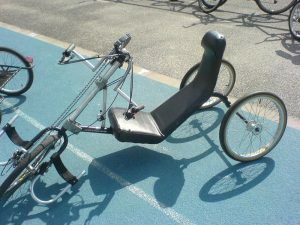 Other side by sides allow both participants to steer and cycle. 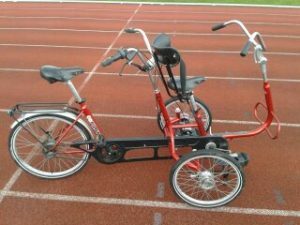 The Trike: We have a wide range of trikes, some with seats, some with saddles, some built for speed, others for comfort. These are ideal for those who do not feel steady on a two wheeler or just like to cycle in comfort! 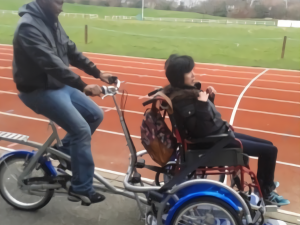 The Handcycle: The bike is perfect for those that have limited mobility or weaknesses in the lower half of their body or if you just fancy working out those arms!